The 2019 Ford Ranger is Making Its Way on to the Scene! If you haven’t already heard, the Ford Ranger is making a serious comeback this year and everyone at Lester Glenn Ford is very excited! After thirty years of being in production, Ford put a halt to the Ranger in 2011 and after seven long years, it’s finally reentering the market. The addition of the Ranger will give a new choice to those interested in the midsize truck segment and it’s certainly expected to shake things up. Get all the details about what to expect with this awesome new pickup! Just like the rest of the Ford pickup lineup, the Ranger is Built Ford Tough. It has a high-strength steel backbone along with frame-mounted steel front and rear bumpers; the Ranger is all about strength and agility. Its raked grille and windshield are both designed to provide the best aerodynamics while limiting wind noise as best as possible. Quiet, comfortable, edgy – everything you need it to be. Go inside and you’ll find room for up to five people, plus their gear and belongings. You’ll also find an 8-inch touch screen with dual LCD productivity screens for real-time vehicle, navigation and audio information. The 2.3-liter EcoBoost engine is designed for efficiency and capability and has fuel injection, a twin scroll turbocharger and 16-valve design. You won’t need to leave anything – or anyone – behind. 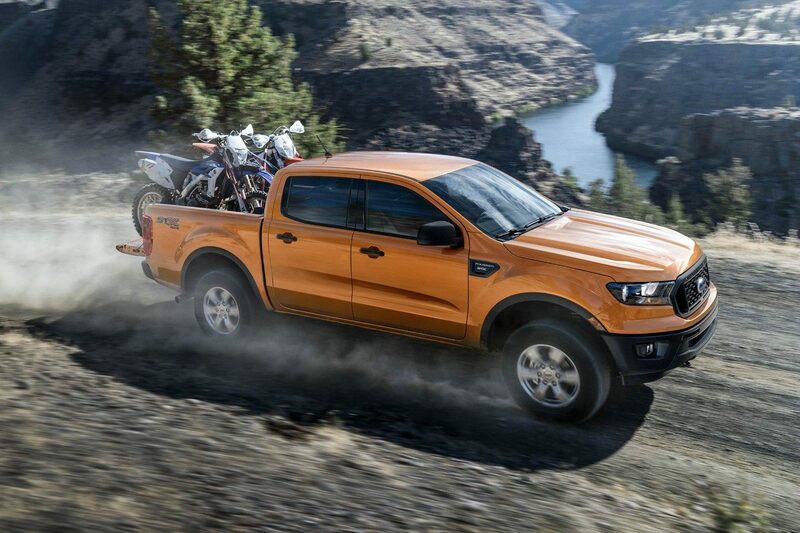 The all-new Ford Ranger is designed for those of us truck lovers that dabble in off-roading. With optimal ground clearance and the available FX4 Off-Road package, you’ll have all terrain tires, frame-mounted skid plates and off-road-tuned shocks. The package also includes a Terrain Management System similar to the one found in the F-150 Raptor. It has four drive modes – normal; grass, gravel and snow; mud and ruts; and sand – designed for whatever situation you find yourself in. All new vehicles have a great lineup of safety and technology features – and the Ford Ranger is no different. Automatic Emergency Braking is a standard option, while Lane Keeping Assist, Lane Departure Warning, Reverse Sensing System and Blind Spot information system are standard on the XLT and Lariat trim levels. The Lariat trim level also includes standard Pedestrian Detection and Adaptive Cruise Control. 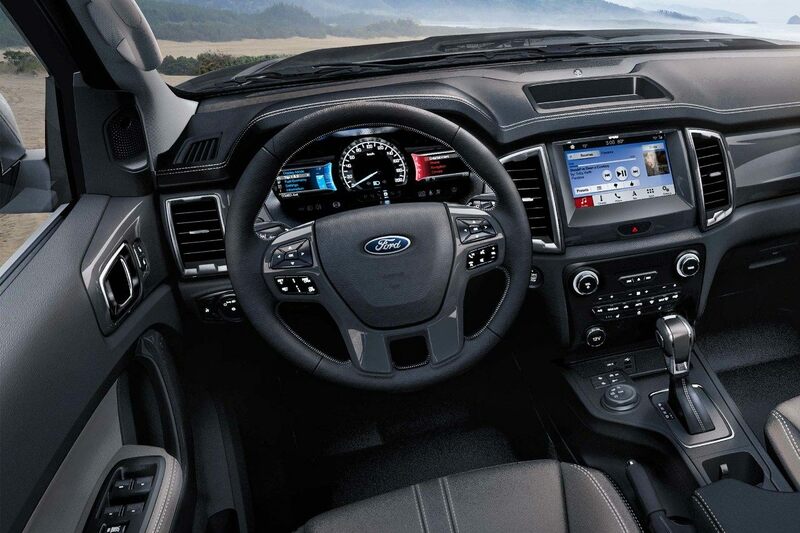 Additionally, available SYNC 3 features Apple CarPlay and Android Auto compatibility, Ford+Alexa personal assistance functionality and optional navigation. Available FordPass Connect 4G LTE modem also provides wifi access for up to ten devices. Connectivity at all times – worry free and convenient. Add to that available AC power outlets that will let you charge your laptop and USB outlets for everything else. The 2019 Ford Ranger is certainly ready to make its mark on the midsize truck world and it’s definitely something you won’t want to miss. Keep your eyes out for updates and be sure to visit Lester Glenn Ford at 900 Route 35, Ocean Township, New Jersey 07712. We’ll be ready and able to answer all of the questions you may have. We hope you’re as excited as we are! Lester Glenn Hyundai Earns Dealer of the Year for the THIRD Time in a Row! The 2019 Chevrolet Silverado Is Coming! Who’s Ready?